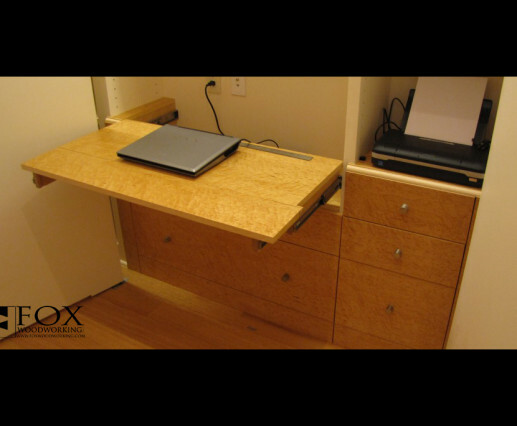 This image shows a birdseye maple desk in the open position. (Click here to see it in the closed position.) Hinging the front part of the desk allows it to flop down like a table leaf or be supported by arms to create a large work surface. 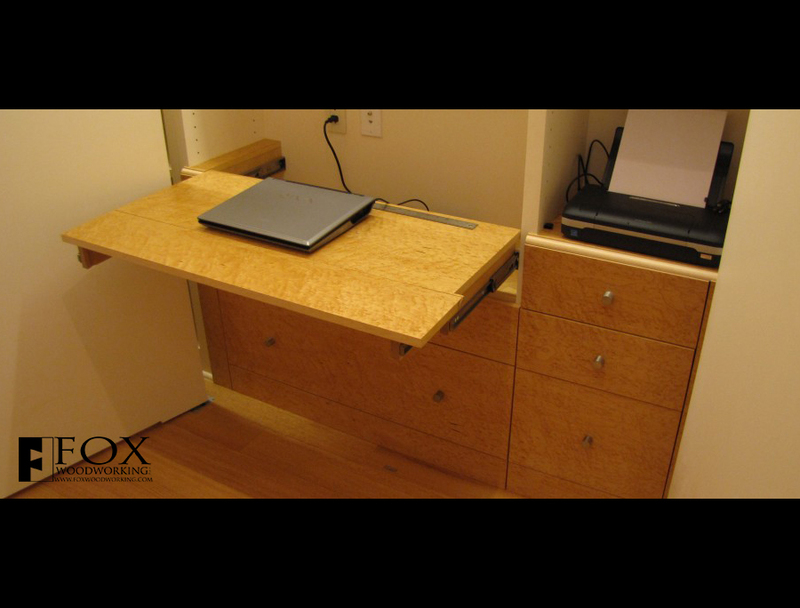 Placing the whole top on drawer slides allows this desk top to pull out of the closet and for the user to sit at it like a normal desk. 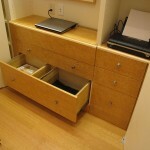 When not in use, this whole desk is concealed behind the closet doors. This unique project allows this room to be used for other purposes when the office work is over.